​Super soil is a term coined by well-known grower and seed producer Subcool seeds to describe a soil recipe he uses to help simplify the process of attaining an ideal harvest no matter your level of growing expertise. It is a highly amended growing medium that eliminates the need to use liquid nutrients. Growth cycle may be slightly longer than with liquid nutrients. What is the purpose of the ingredients in Super Soil? Coco is a by-product of the coconut industry and is an environmentally friendly alternative to using peat. 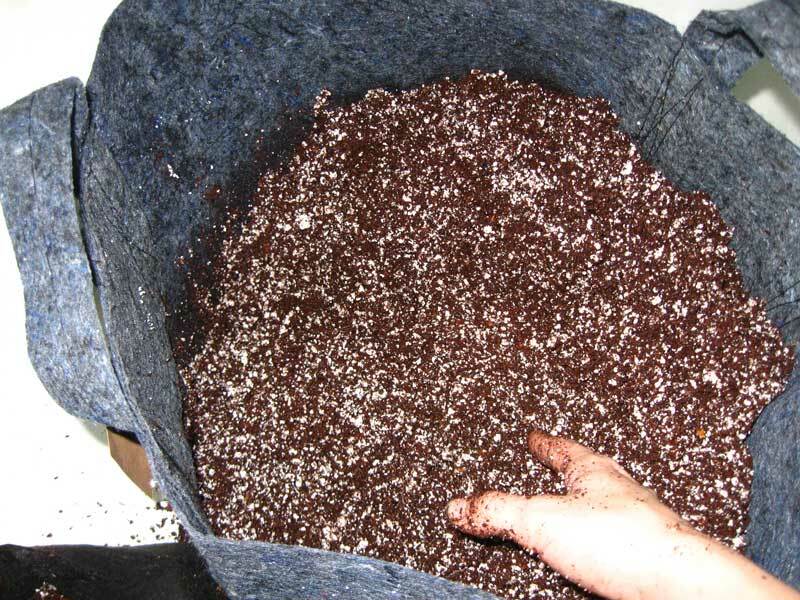 As coir breaks down, it also releases potassium, serving as both a potential nutrient source, while also increasing the structural integrity of your growing medium. The benefit of mycorrhizae in your grow medium are indispensible, so finding a good base soil that includes it is important. You can also add it separately, as we have shown in our recommendations for the recipe. Mycorrhizae are beneficial fungi that attach themselves to the roots of plants. Once attached, they help plants to better process and utilize nutrients more efficiently. Worm castings are the waste products from earthworms that serve as an excellent organic fertilizer. Worm castings are high in nitrogen, one of the three primary plant macronutrients. Worm castings are coated with special oil as they travel through Earthworms. This oil takes time to break down, which makes worm castings a very effective, slow-release nutrient source that can feed plants longer than other fertilizers. It is because of this that the nitrogen in worm castings is particularly helpful at promoting vigorous vegetative growth. Bone Meal and/or Fish Bone Meal are good sources of Phosphorus. Bone meal has the added benefit of containing calcium, a secondary plant macronutrient. Calcium increases the structural integrity of your plants, promotes new growth, and increases disease resistance. High phosphorus Bat guano stimulates soil microbes and improves plant development and growth. Depending on your nutrient needs, you can generally find either high phosphorus or high potassium bat guano. This recipe calls for a high phosphorus guano. Blood meal is one of the highest natural sources of Nitrogen, which is often the limiting factor in plant growth. Oyster shells provide slow-release calcium, a secondary plant macronutrient. This is an especially useful amendment if you use Fish Bone Meal, which lacks the calcium you could get from bone meal. In addition, oyster shells help neutralize soil acidity. Kelp meal is used primarily as a source of trace minerals and plant micronutrients, including potassium. It is also a source of natural plant hormones. Alfalfa meal adds organic matter and trace minerals to soil. It also contains trianconatal- a natural fatty acid growth stimulant. Epsom salt provides magnesium sulfate, a highly soluble form of magnesium and sulphur, both secondary plant macronutrients. Magnesium also helps the uptake of calcium and may be useful in preventing bottom end rot in tomatoes. Dolomite lime buffers pH by neutralizing soil acidity, and provides calcium and magnesium to your soil mixture. By serving as a pH buffer, it also makes many micronutrients more bioavailable. Azomite is primarily a source of sodium and calcium, and is high in many trace elements. It may contain as many as 70 individual trace elements, especially silica. Studies have shown that Azomite helps plants better absorb nutrients from soil. Soil, the classic option for most growers and possibly all beginning cannabis growers, soil has many reasons for being popular. These reasons include the fact that it is a natural ingredient and is very easy to find. Soil has the added bonus of being really easy to use, which is why it is popular among beginners in particular. Soil leaves a lot of room for error. If a grower does something terribly wrong, their cannabis plants won’t simply die immediately. Instead, the soil allows them to have some sort of cushion, no matter what type of shock they are going through. This is much less daunting than some of the other, less forgiving grow media. The best type of soil to use is a potting compost that has been sterilized and is not packed too tightly. It also should be based in something other than peat moss. This will allow your cannabis plants to get plenty of the nutrients they need to grow. NOTE: ALL AMENDMENTS ARE 2 TABLESPOONS PER, PER AMENDMENT, PER EACH GALLON OF SOIL. MIX EACH BAG WITH 5 GALLONS OF SOIL.